Remotely Operated Vehicles (ROV) are a safe and efficient tool to use in situations where there is a risk to divers ‘Health and Safety’. 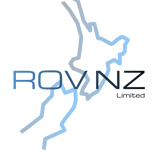 ROV NZ was created from a need to provide a safe cost-effective solution to marine customers and clients with real-time underwater footage and services. The new responsive website for ROV NZ includes the underwater services offered, and also showcases the ROV sales and repairs side of the business. We love the instagram feed on the homepage to keep the site looking dynamic and fresh. Thank you for your outstanding work SunRoom Web Design. The new ROV NZ website is first-class and your suggestions were spot on. It was impressive how your team managed the different aspects of the project and got the website up and running in such a tight time-frame. The website is beyond our expectations and we would highly recommend SunRoom to anyone looking for a quality website.